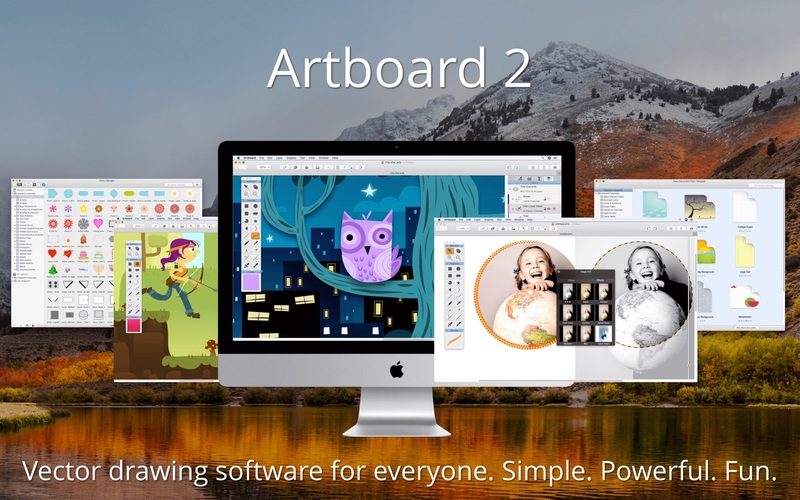 Artboard 2.1.1 – Simple and direct vector drawing software. Artboard is a full-featured vector drawing application for new and experienced creatives to draw crisp vector graphics, scalable logos, sharp icons, and stunning layered illustrations. Templates help small businesses, students, hobbyist and 2D game designers get started on their projects quickly, such as making business cards, posters, pixel perfect icons, and right-sized social media graphics. With its uncomplicated interface and familiar Mac feel, users spend more time creating and less time searching for elusive commands. Overflowing with new features and a tidy user interface, its speed and responsiveness are complemented by smart techniques for interacting with drawing objects. Next story Artstudio Pro 1.3.5 – Painting and photo editing app. Previous story Substance Painter 2018.2.1 – Artist-friendly and powerful 3D painter. Sketch 47.1 – Design app for UX/UI for iOS and Web. Sketch 41 – Vector drawing application. Sketch 3.4.2 – Vector drawing application.